The tarsus is a set of bones making up the skeleton of the ankle located between the leg bones (tibia, fibula) and the foot bones (the metatarsal bones). and the three cuneiform bones (intermediary, lateral, and medial). 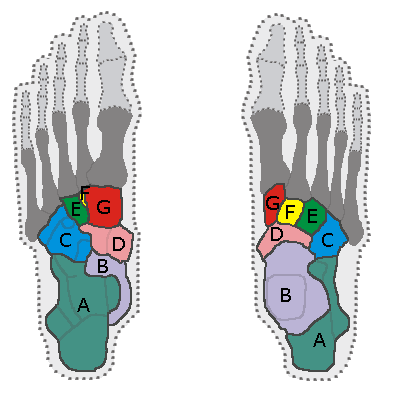 The tarsus forms part of the plantar arch, particularly the heel, and supports the whole body.